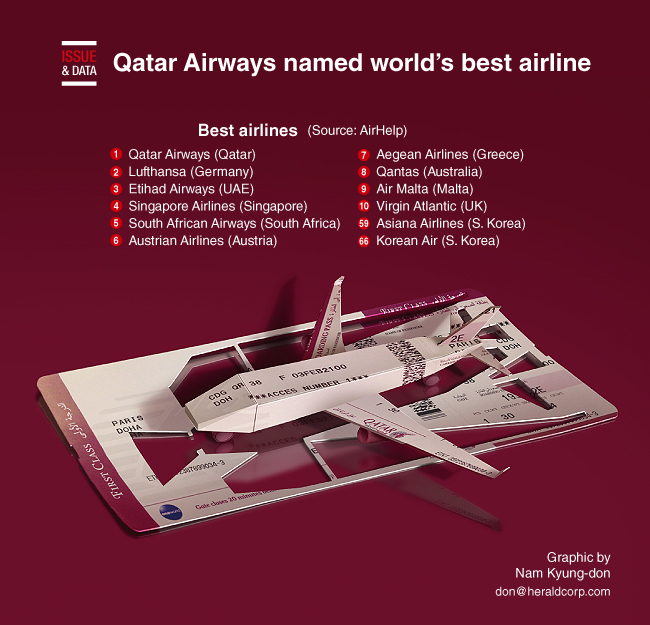 Qatar Airways was named the best airline globally in 2018, followed by German carrier Lufthansa and United Arab Emirates’ national carrier Etihad Airways, according to AirHelp. Overall rankings are based on three factors: on-time performance, quality of service and a claims-processing score, which reflects how a company handles customer complaints. Korean Air ranked 66th and Asiana Airlines came in at No. 59.